Tracks such as 'Punchdrunk Lovesick Singalong', 'The Trickstar' and 'Palo Alto' have been removed from Spotify and Apple Music during the group's transfer from their previous record label Parlophone to XL Records. XL Records will make the band's albums available for fans in their "original form" before adding other tracks. Speaking to Pitchfork about the retracted tracks, which were part of the 'Special Collector's Edition', a spokesperson from the Beggars Group imprint said: "This is the first step in the transfer of Radiohead's back catalogue from Parlophone to XL. The main albums are being made available in their original form as a start, before non-LP material is reconfigured." 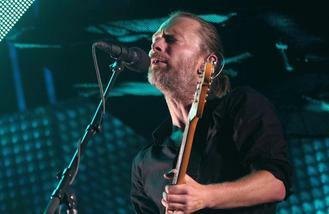 A spokesperson from Spotify stated: "As a result of a change in rights ownership of Radiohead's catalogue, the band's catalogue on Spotify has been streamlined, meaning that a small number of products are no longer available. However, the band's core album catalogue remains available to their millions of fans on Spotify as before."